“Marketers everywhere have been busy in the past several years keeping up with mobile, new technology, and the fundamental changes in a social media world. Though the pace is increasing, it is also important to review the basics of marketing to ensure that what you do matters. 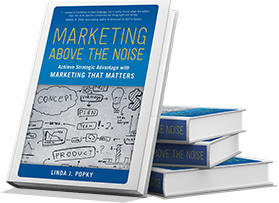 MARKETING ABOVE THE NOISE goes back to basics and offers an approach that combines timeless principles with today’s technology. Here are 5 Reasons to Read this Book. CEO, Thought Leadership Lab, author, Ready to Be a Thought Leader? 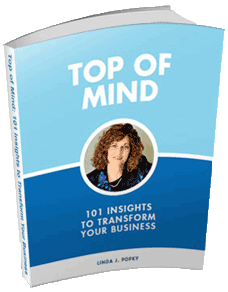 Bestselling author of Getting Change Right and Getting Innovation Right. Chair of Santa Clara University Management Department and author of the award-winning book, The Plugged-In Manager: Get in Tune with Your People, Technology, and Organization to Thrive. former SVP Digital Content at SanDisk, now Co-Founder and COO of CoPilot Systems. Bestselling author of ten books including The New Rules of Marketing and PR, now in 25 languages from Arabic to Vietnamese.